Angelina Jolie and Brad Pitt have six children under the age of eight, but although their brood is young, she revealed to CNN's Anderson Cooper that her little ones are aware of some of the world's troubles. "Some of my kids are from countries that have seen conflict," Angelina told Anderson for his "AC360" show. "I usually just explain to them that there are other families in the world that aren't as fortunate as ours and other kids and their mommies… are somewhere in a country that's not as safe…. So I tell them that it's important for all of us to do what we can and then go to these places and understand what's happening." 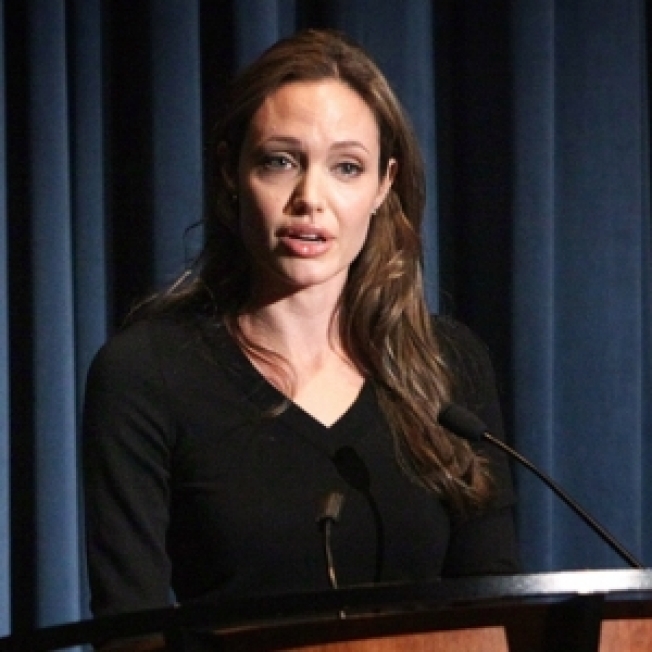 Angelina said she hopes the many visits her family makes to nations in strife, helps to give her children a better education about what is going on across the globe. "They're just being raised that this is the normal thing to do," she said. " Hopefully I'll take them to as many countries as I can and raise them with an education of the world." The actress and United Nations High Commission on Refugees Ambassador said she hopes seeing those across the world will make her children "better people as they get older." While Angelina spent most of the interview discussing the situation of refugees, she also took time to answer a question from Anderson about how the Jolie-Pitt family deals with so many birthdays. "We have so many kids that we just have year-round birthdays," she laughed. "It's just fun, you know? It's a lot of fun now 'cause the older kids are old enough to help plan the birthdays for the younger kids. So it's… one of the great pleasures of life, the birthdays."